Recently, I was asked to republish my articles on Biodynamics (or BD, for short), parts of which were published by Pol Roger. Biodynamics is an agricultural philosophy that offers a radically different approach to agriculture. With wine, this means the farming of grapes. I first encountered BD over a decade ago. Then it was regarded as an entirely daft doctrine practised by a few winegrowers that had lost touch with reality. Naturally, I became fascinated! I found, by accident, that Biodynamics was often a connecting thread between many of the wines that I enjoyed. Indeed, it took no little persuasion of a sceptical WSET examining board to allow me to write a dissertation on how to market Biodynamic wines in the UK. That piece turned out to be an accurate prediction. In the intervening years, Biodynamics has become more widely adopted, and Biodynamic wines are now readily available, though they usually occupy the premium niche in each price category. I once kept a directory of Biodynamic practitioners. In the beginning, there was only a handful. After ten years, I stopped because they had become too numerous for me to keep up. Yet Biodynamic winegrowing isn’t mainstream and is still controversial. Part 3 explains Biodynamic winegrowing practices in more detail. First then, the context. Let’s round-up (pardon the Monsanto pun) some of the ways of grapes are grown. Overcome soil deficiencies by adding manufactured artificial fertilisers. Degradation and Pollution of the land, aquifers and rivers. Pests such as weeds, fungi and insects developing natural resistance. Chemical eradication is “non-specific”, destroying beneficial species and diverse flora and fauna in unintended ways. Vineyard workers and local populations suffering when applying these poisons. Ever seen agricultural workers dressed up in NBC protective suits to protect them from contamination? It’s wine as warfare. Currently, Bordeaux is a focus of protest against their high level of pesticide use. For example, French health authorities said that the use of pesticides on vineyards “could not be excluded” as the reason for abnormal rates of child cancer in Sauternes. Tests show up to 200 man-made chemical residues can remain in the wine we drink. The legislation covers maximum “safe” levels of “registered products”. But how much confidence can you take from that, especially since these residues are undeclared, long-lived and can accumulate in the body? Do you remember DDT? Rachel Carson’s book Silent Spring revealed the impact of this biocide. Banned in most countries, DDT persists in soils, food chains and human beings to this day. Now there is concern about the effects of glyphosates, (such as Monsanto’s Roundup) and neonicotinoids (responsible for the decimation of Bee populations). These and other insidious synthetic products are long-lasting toxins. Lots of farmland is addicted to these chemicals and requires ever-larger fixes. And so the cycle continues. The result on our ecology is Koyaanisqatsi, the Hopi Indian word meaning “a life out of balance”. Too often we think we are above nature, rather than part of it. We even call this type of agriculture “conventional”. That’s a reassuringly neutral term. These days we’re familiar with this, a common theme in world food production. Wine is an industry on a global scale where efficiency and profit reign. There is nothing inherently wrong with that. But the desire for growth is detrimental when winegrowing makes a dubious pact with chemicals. From a consumer perspective, the consequences are an increasing number of gluts, phobias, scares, and poor quality. You are what you eat, and we don’t know all the possible side-effects, some of which take years to emerge. Knowing this, we continue to consume. The journey away from a reliance on chemicals towards a new enlightenment has been by slowly adopting “sustainable methods”. I call this Chemical-Lite. This agriculture appeared in the 1970’s and 1980’s. Some Farmers responded to vineyard pest, disease, and weed control with an environmental consciousness. The French call this “la Lutte Raisonée”, (the rational struggle). While specific programmes differ in their detail, crucially they still allow chemicals, albeit in a more pragmatic way. For example, Instead of eradicating pests, Integrated Pest Management (IPM) tries to keep their populations below a harmful level. By monitoring the weather, local ecology and pest-predator life cycles, growers aim for reduced chemical usage. Integrated Production (IP) is similar and also includes growing cover crops and vine management. In 1999, South Africa introduced the Integrated Production of Wine (IPW) scheme which also incorporates winemaking and the recycling of waste. 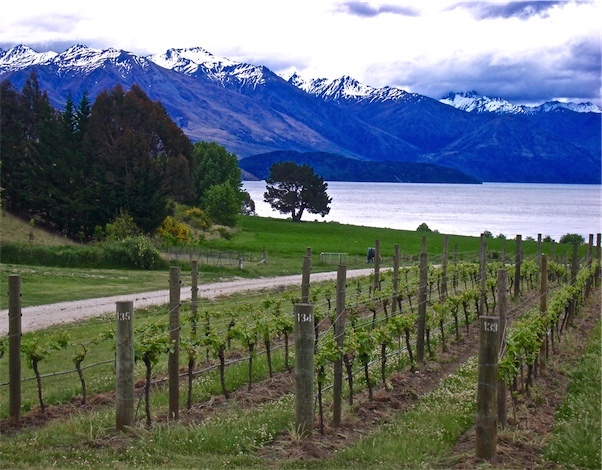 New Zealand launched Sustainable Wine Growing New Zealand (SWNZ) in 1997, adding a winery component in 2002. It recognised that a lack of sustainability would eventually damage their image of “the riches of a clean, green land”. Such sustainable viticulture is undoubtedly a step in the right direction. But, at the risk of upsetting these more enlightened producers, ultimately this is still just Chemical-Lite. To quote Neil Young, “It’s a kinder, gentler, machine gun hand”. Organics has grown in popularity since the 1980’s, but it is still in the minority. Its philosophy regards the vineyard as a complex ecosystem. Organic farmers see themselves as custodians of the land who ensure a viable inheritance for future generations. Synthetic chemicals are forbidden, and scientific vine management techniques are employed. A concern for the soil and soil microbial activity. Natural compost from cover crops and farm manure replace poisonous agrochemicals and concentrated fertilisers. Biodiversity. Encouraging beneficial insects, including bees as pollinators and lacewing as predators. Polyculture. Other crops are grown, such as fruit and olives. There is more ecological complexity and diversity. Reducing contamination from polluted water and other wastes. The adoption of organic methods isn’t easy. Organic grape growing is more viable if there is a warm, dry climate where fungal diseases tend to be less prevalent. Organics also has its flaws. Poisonous copper sulphate or “Bordeaux mixture” are still allowable methods to control fungal outbreaks. Organic certification also means increased cost, time, and bureaucracy. All these factors risk profits. Some producers compensate by asking for higher prices. If organically grown wines don’t taste better than their non-organic counterparts, especially if premium priced, then wine drinkers become disappointed. One consumer survey concluded that organic food and wine are in some way “dirty” and “more expensive”. Some organic wine producers won’t say they are organic, for fear it will turn customers off. Or they won’t apply for organic certification because of the cost. It can take some years of vineyard conversion for grapes to reach a new state of equilibrium, during which time vineyards and growers can suffer. In short, going organic is a big risk, though one worth taking. However, I believe there is an even better way. There’s Biodynamics. In my opinion, only BD has the potential to offer great wine, while maximising environmental and health benefits. It’s this combination that I find compelling. So what is it? For that, please read Part 2.